Springing Into Action: Our Farm Gets Going for the 2016 Season! If you drive by our Farm (129 Stillwater Avenue) you will see that we’re springing to life … but, actually, we got started weeks ago. 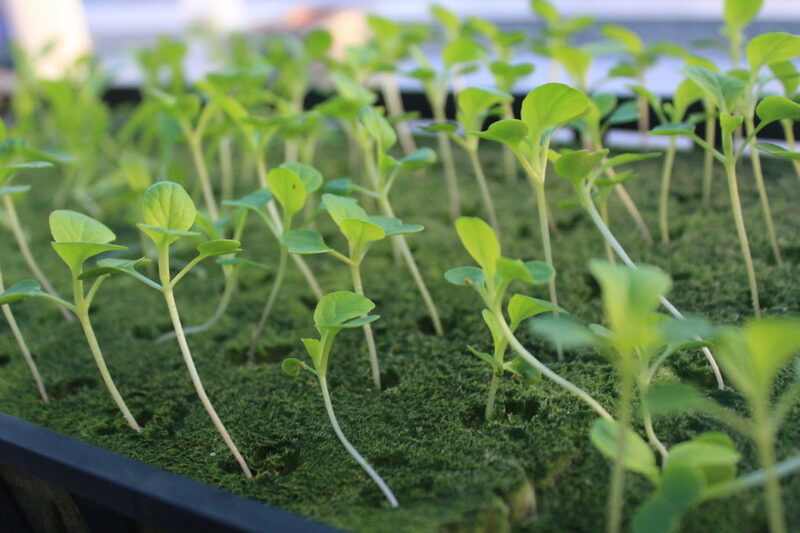 These 1,400 seedlings are growing up in our heated, hydroponic greenhouse and getting ready to graduate to the gardens. COME CELEBRATE EARTH DAY WITH US AT OUR 2ND ANNUAL FARM CLEAN-UP, SATURDAY, APRIL 23, 8 am – noon! One very warm March day we were privileged to have the help of a bunch of volunteers from Americorps. 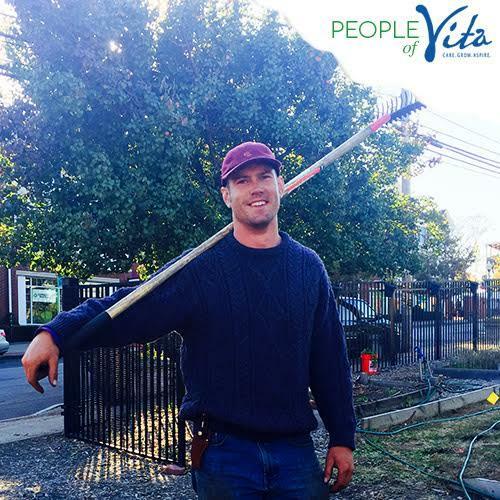 Most of the group works at Community Health Centers on Franklin Street, a Vita Community Collaborative partner and provider of comprehensive Communities Health Center, Inc., a federally qualified healthcare center that provides comprehensive dental and medical care at its Franklin Street office. Thanks to all who helped out; we got a great start (even though it was snowing again just a few days later). Calling All Volunteers! We need and welcome help from former & future Fairgate Farmers. Open volunteer hours are Mon., Tues. & Thurs. (8 am – noon and 3 – 7 pm) plus Sat. (8 am – noon). If you are interested in bringing a group to the farm, please make arrangements in advance: Maxon@FairgateFarm.com or call 203-898-1171. 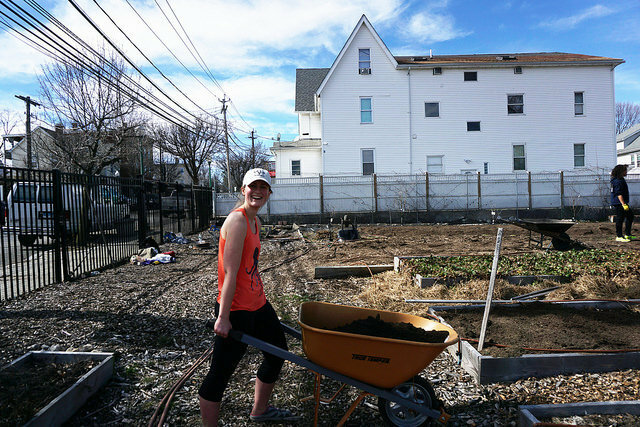 “Happy farming and gardening season, Stamford! I can’t tell you how excited I am to be back outside, getting my hands dirty and growing with our community. 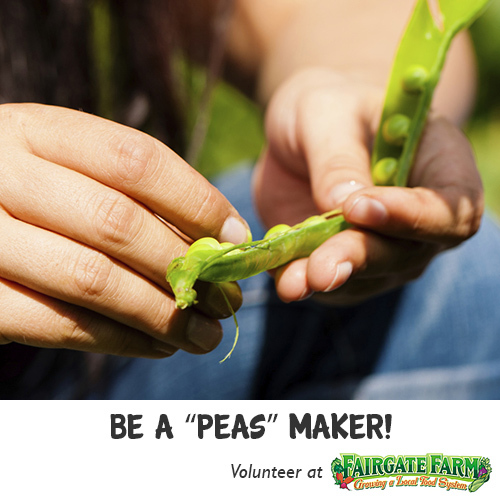 There’s much work to be done at the farm and your home gardens. If you’re new to gardening, my best advice is start small – it’s more rewarding to watch a manageable, vibrant and healthy garden grow when you don’t have to deal with being surrounded by weeds and neglected plants. You won’t believe how much food you can grow in a small garden!